Vishay Intertechnology introduced a fully integrated proximity sensor that combines a high power vertical-cavity surface-emitting laser (VCSEL), a photodiode, a signal processing IC, and a 12-bit ADC in a single package. The new VCNL36687S is designed to be used in smartphones, tablets, virtual reality / augmented reality (VR / AR) headsets and other battery-operated devices. With a range of up to 20 cm (7.9 in. ), the VCNL36687S greatly simplifies the use and design-in of the proximity sensing capability in consumer and industrial applications, because no mechanical barriers are required to optically isolate the emitter from the detector. The VCNL36687S features a miniature, surface-mount 3.05 mm by 2 mm leadless package (LLP) with a low profile of 1 mm. The device’s small footprint and low height make it ideal for space-constrained applications. 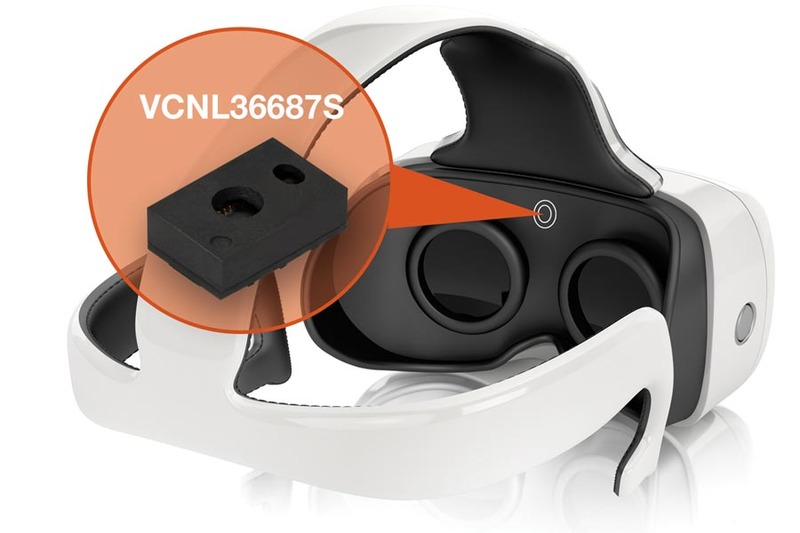 Mobile devices present numerous applications for the VCNL36687S, such as minimizing accidental touch inputs on a smartphone that can lead to call drops and camera launch, or detecting when a user is wearing or not wearing a virtual reality / augmented reality (VR / AR) headset. The VCSEL’s profile of ±3° makes the VCNL36687S suitable for applications that require narrow angle detection and minimizes optical system design concerns.